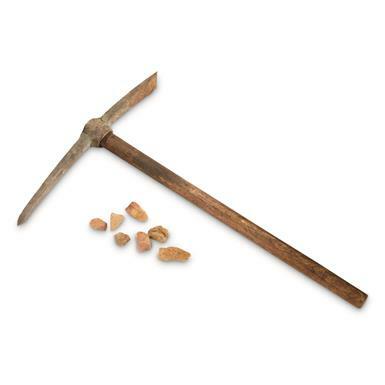 Get a piece of Italian history when you purchase this 50s-era Pick Mattock. One side features an adze designed to efficiently clear out trenches. The other, a pointed spike that's great for breaking up rocky soil. Whichever side you use to pick at the ground, it'll be a workhorse for landscaping, gardening and more. Shovel head is 6" x 8.5"l.
22.5"l. open, 6" x 10" x 2.5"h. folded. 2.25 lbs. Dig into tough camp chores.